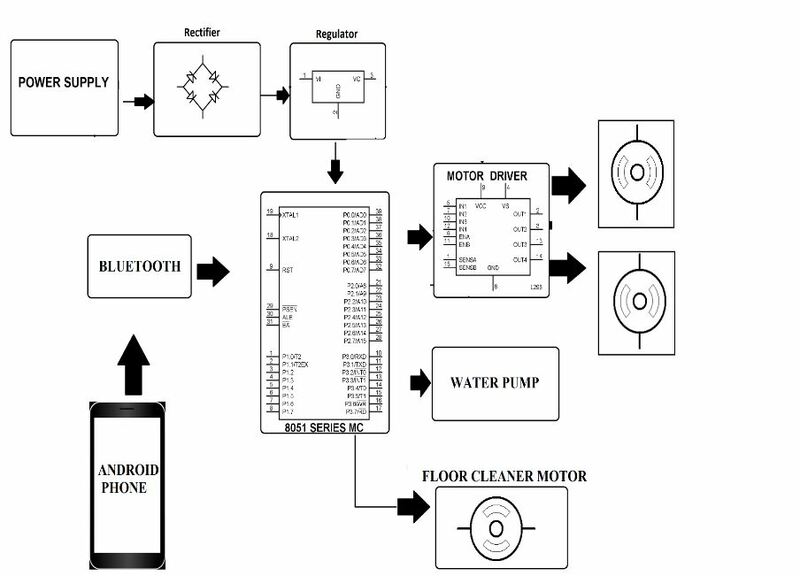 Here we propose a smart floor cleaning robot that allows for remote floor cleaning. The bot makes floor cleaning very easy and a fast process using a wireless robotic cleaning system. The user may sit at a place, start a bot and clean wherever needed. The system consists of a transmitter app. This app is run in an android mobile phone that allows user to transmit command based on user input. Based on these commands the transmitter sends movement commands to the robot. 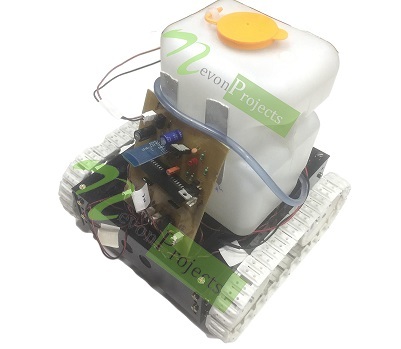 The transmitter is an android mobile phone that allows user to transmit commands to the robot. 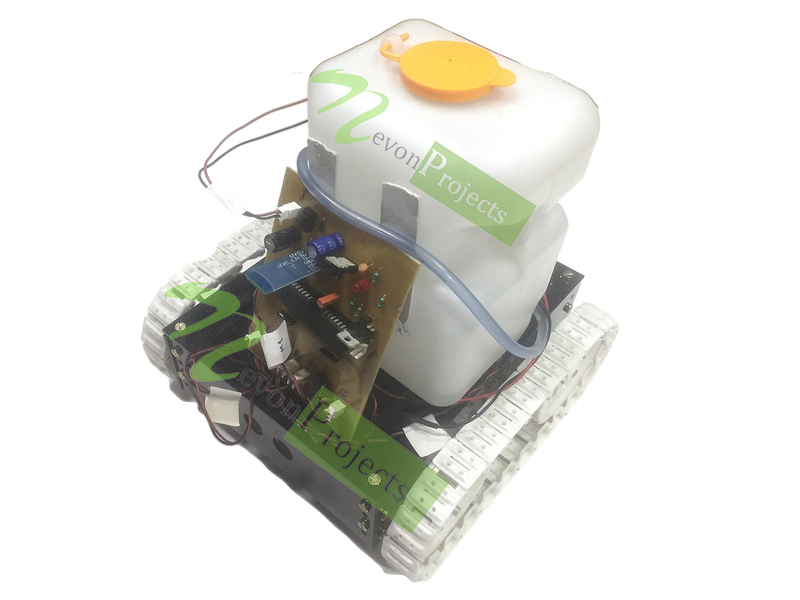 The robot consists of 2 cleaning pads with a water sprayer for efficient cleaning. The robot has 2 motorized rotating cleaning scrubs for the cleaning part. On receiving the movement commands from the android. 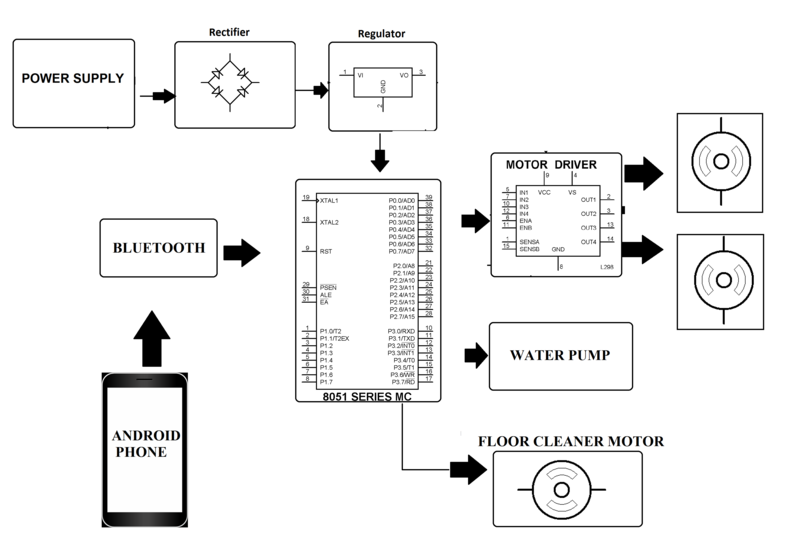 On receiving the movement commands from the android device through Bluetooth receiver. The microcontroller on receiving the commands, decodes them and thus operates the motors in order to achieve the desired motion. Even the sprayer and cleaner mechanism can be controlled by the android app user. This makes floor cleaning a very easy, fast and an effortless process.